Make no mistake, whatever progress humanity has managed to pull in the last 50 years or so is due to the abundance and widespread availability of black gold. No such things as mass transport, building, Information Technology, medicine, agriculture and so on would have developed in the way they have, if not thanks to oil and its derivates. Renewable energy itself wouldn’t haven’t gone this far, without the oil-driven staggering pace of human technological development. 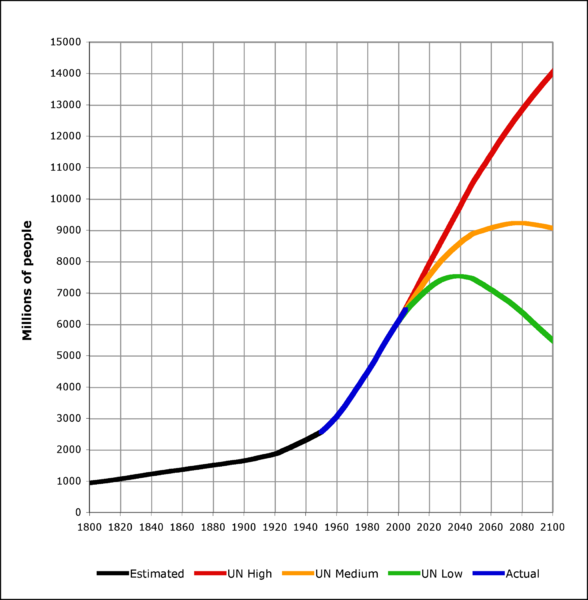 World population has since increased exponentially. Modern human growth was first triggered by coal during the Industrial Revolution, but oil has pushed this trend to the next level. An energy-dense and easy-to-transport liquid, oil boasts those unique features that have empowered mankind to the point of radically reshaping our territories, as well as our culture. A once vast and unexplored universe, Earth has been easily conquered to our needs and pleasures. Human genius has achieved in 50 years what it didn’t in the previous 200,000 years, when humans made their first steps on our planet. World population from 1800 to 2100, based on UN 2004 projections and US Census Bureau historical estimates (author: Loren Cobb)..
Oil is the necessary source for most of our energy needs. But most people would be amazed at the fact that much more depends on it than it’s usually accounted for. 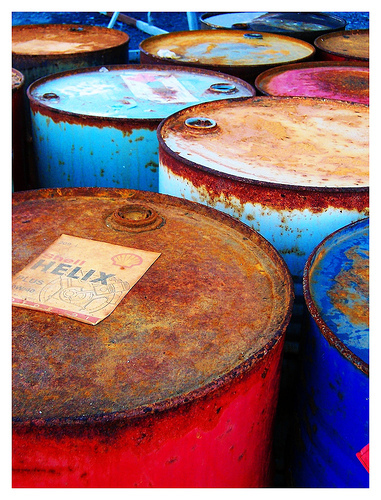 Most man-made materials and chemicals, used for construction or agriculture or health, derive from oil. We have become heavily addicted to this, so much so that all that we take for granted these days, is granted by oil. Without it, we are doomed. Or are we? 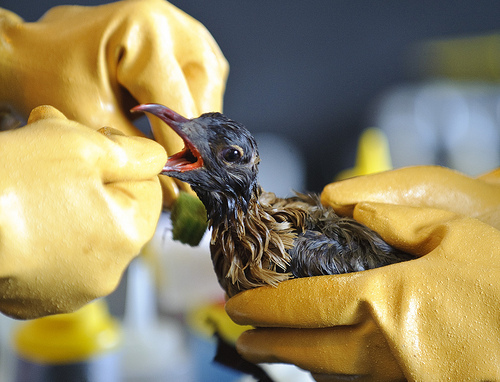 The BP oil clean-up in the Gulf of Mexico (photo: BP). We’ve had cheap availability of this precious resource, along with coal and gas, for quite a few decades now, but the price of this wealth soon started to show. Clear environmental issues arise from the use of fossil fuels: pollution of the environment is something that has been visible from very early times, but a more worrysome truth has arised in recent years: climate change. Burning fossil fuels means blowing exhaust gases into the atmosphere. Some are pollutants, some inert, like CO2. But carbon dioxide has a different, indirect effect: it’s a greenhouse gas, it warms up our atmosphere. Too little of it in the air, and global temperatures will drop; too much of it, and the temperatures will slowly but steadily increase. Its cycle, the carbon cycle, relies on a natural balance, something that’s been running over millions of years, causing very slow climate changes over the millennia, and ultimately granting life on our planet. We should be very grateful to CO2, as it gave Earth a climate that made life possible. But what we are pumping out of the ground in modern days is disrupting this balance, increasing CO2 concentration to levels never recorded before. We’re heating up, fast. De-coupling our progress and energy needs from fossil fuels is paramount. But it’s not “just” for the planet and our own health that we should get rid of the oil addiction. The current paradigm shows self evident economic and geopolitical issues. 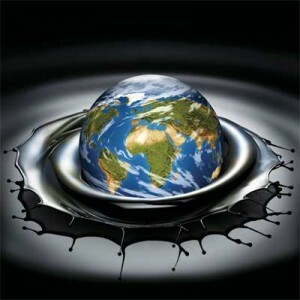 In an almost divine fortuity, oil is most abundantly found in the least reliable countries around the world. And to make things worse, the most addicted nations are the ones that have less of it. Human history was shaped by wars and events related to the quest for new energy sources. The rather short history of oil exploitation is a perfect synthesis of our history, our limits and contradictions. All most important recent human events have something (or a lot) to do with black gold. The economy itself is highly dependent on this vital resource. Along with human progress, so has our economy developed at ever higher pace, connecting all nations in an interdependent global society. The effects of this have been clearly shown by the current global economic crisis. In an increasingly tight chase between supply and demand, but mostly due to speculation, oil prices in the last ten years have been progressively exposed to short-term fluctuations with heavy consequences on the real economy, and on people’s lives. We are now approaching a new era. With the fading of the deepest and most global recession in decades, oil consumption will once again steadily increase. There are new actors though, that will change the balance between supply and demand: China and India. These developing giants – with economies swelling at 10% annual rates – are quickly making a dent in the patterns of fossil fuels consumption. What was once the main source of debate in the energy business, “Peak oil”, is likely to be dwarfed by a far more worrying reality: the Oil Crunch. It doesn’t really matter anymore when oil production will peak (probably a few years from now). One concept is far more critical in both the short and the long term: thanks particularly to the astonishing growth rate of the Asian giants, demand for oil is poised to grow to such levels that we just won’t be able to match on the supply side. Oil prices peaked in July 2008 out of speculative moves by trading operators: the Brent crude managed to reach 147$ per barrel, raw materials followed suit. The unbearable pressure to the World’s economy triggered economic collapse, and by December 2008 the Brent had plummeted to around 36$ a barrel. It’s easy to imagine what will happen when there is not enough for everybody. Brent is already sailing well over 70$ per barrel while global economy is still far from recovered (it was approaching 90$ this Spring before speculation over Greece’s finances made everyone panic). China’s economy is climbing fast with no signs of slowing down its pace. Before our nations will have got back to a steady growth, 2 or 3 years from now, we will be facing the inevitable. What figures should we get used to? 200$, 300$ a barrel maybe? whatever the numbers, the Oil Crunch will eventually present our society with the belated bill for our irresponsible energetic behaviour. So will it be the end? In my opinion, exactly the opposite. Yes, there will be massive worldwide political and economic distress, which could lead to all sorts of bad consequences. But, more likely, the effect of extremely high oil prices will be that of a medicine to our energy problems. We will quickly be forced to pursue alternatives that have so far been hardly pushed enough. With unprecedented levels of financial, research and development efforts, renewable energy will emerge as the massive opportunity that is right before our eyes. Not only will a new energy paradigm be not too difficult and time-consuming to achieve (after all, we made it to the Moon and back, didn’t we? ), but a more important truth will arise. We are used to the idea of limited resources: fossil fuels are a powerful but finite, limited source of energy. Instead, we have plenty of clean, free renewable energy to fuel our growth for the foreseeable future. It will be like a new Gold Rush, just a lot more democratic: renewable energy is available everywhere, in great abundance, for ever. Until then, the “heartbeat” of our society will follow the unstable fortunes of oil. There is no better and simpler way to understand the health of our economy, than by keeping an eye on its “pulse”, oil prices. For these reasons, and for as long as Oil is King, you will be shown an oil chart on the pages of this blog. This entry was posted in Clean Energy, Environment, Fossil Energy, How hard can it be?. Bookmark the permalink. I’m bored. At school. In the library. Doing an essay about oil for conemporary world. “don’t worry be happy!” that is the real name of this game isn’t it? Don’t move to a small town and get a lot big enough for a vegetable garden and see if you can bike to work, while you super-insulate your home. That’s just crazy talk. Gas will *never* be 5 bucks a gallon. Oh well, I guess it probably best this way. When Unemployment hits about 30% people will probably start doing that anyway. Cassandra is such a dirty word.